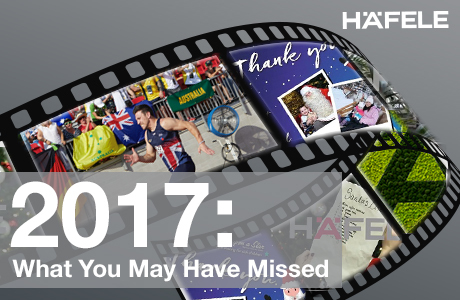 Here at Häfele UK, we’ve been absolutely committed to fundraising for deserving charities for years, and this year has been no exception! We are thrilled to announce that so far this year, we are on track to raise an incredible £20,000 for our 2017 charity partner, When You Wish Upon A Star. Our fundraising has involved a wide variety of events from cake sales and quizzes to sporting events. Our fundraising enabled us to send 22 children with life-threatening illnesses to Lapland this Christmas, for a magical day meeting Father Christmas. Find out more here. In September, we celebrated as one of our Technical Support Advisors, James McGill, won Silver in the 200m and Bronze in the 100m, as he represented Britain in the 2017 Invictus Games in Toronto. James has been a valued member of the Technical Support team since March, but previously served as a Guardsman in the Army. During this time, James was involved in an IED blast and suffered multiple fragment and shrapnel wounds to his left limbs and right leg. The 2017 Invictus Games wasn’t the first time that James had represented Britain, as he also competed at Orlando 2016. You can find out more about the Invictus Games here. In July, we launched our #HafeleWimbledon campaign; the story of a Häfele tennis ball making its way around Häfele UK and giving one lucky person the chance to win £50 in Love2shop vouchers. We had a record-breaking amount of view on the video on our Facebook page and received some great feedback from our customers, who enjoyed spotting some familiar faces throughout the video. If you haven’t watched it yet, you can see it here. Make sure you don’t miss the outtakes video either! After the success of #HafeleWimbledon, we launched the #HafeleHamper campaign at the start of December. 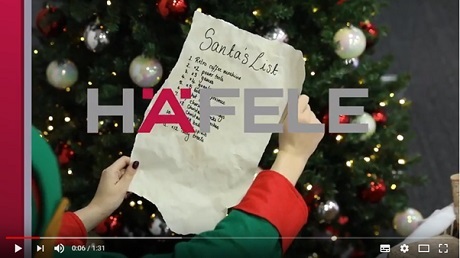 This video saw the journey of one of Santa’s little helpers making their way around Häfele UK, collecting products and gifts in their hamper, worth over £700, for one entrant to win! 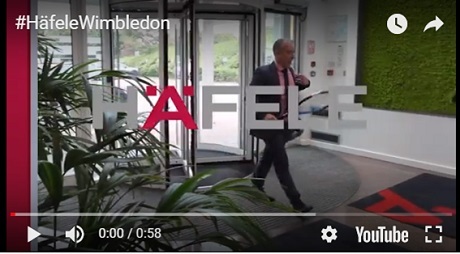 So, if you can brave another video of our fantastically amateur acting skills, make sure you watch the video here or read more about #HafeleHamper here.